What are ‘Personal Budgets’ and what have we learned from developments in Ireland? 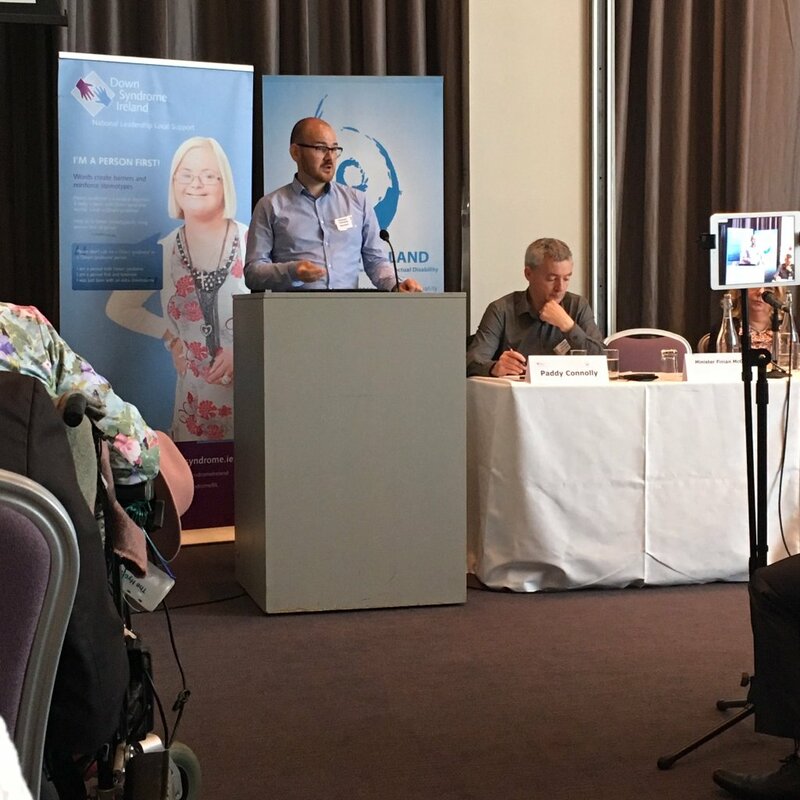 A recent high profile seminar hosted by Inclusion Ireland and Down Syndrome Ireland (Monday 30th June 2016) and attended by over 200 people, focused on personal budgets for people with disabilities. The newly-appointed Minister of State for Disability, Finian McGrath, was in attendance to hear presentations from national and international speakers, including researchers, experts from the UK, and advocates for the implementation of personal budgets in Ireland (Inclusion Ireland, 2016). This article is based, in part, on work which we presented at that seminar and which is being undertaken as part of a larger piece of research at Maynooth University. This research is investigating the implementation of four pilot projects in Ireland which are supporting the use of personal budgets. The aim of this article is introduce the concept of personal budgets and to explore what our research says about the practical considerations for families interested in personal budgets in Ireland. Padraic Fleming presenting at ‘Personal Budgets’ Seminar – Gibson Hotel – May 30th 2016. 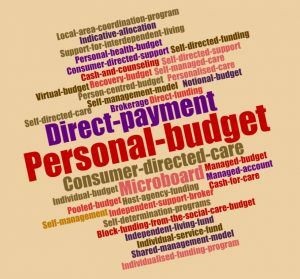 What is meant by personal budgets? As highlighted in an earlier Frontline article (Fleming, McGilloway, & Barry, 2015), ‘personal budgets’ refer to one of a number of different funding schemes/initiatives that are described collectively as ‘individualised funding’. For example, the four pilot projects located in various parts of Ireland are described as: 1) Direct Payments; 2) Independent Support Broker / Brokerage; and 3) Self-management model. These models are not new in the sense that many countries around the world are funding disability supports through personal budgets, including Canada, the US, Australia, New Zealand, the Netherlands and the UK, amongst others. However, there is considerable variation in the ways in which ‘personal budgets’ are described internationally (see Figure 1). Despite the many different terms that exist, all of these funding and support initiatives – including those in Ireland – are essentially trying to achieve the same goal. Their aim is to provide funding directly to a person with a disability in parallel with a personalised support process. Together, these aim to increase the person’s level of control over what supports and services are purchased to meet their individual needs. The alternative to personal budgets is access to services through service providers, as is the case in Ireland. Through the current (traditional) funding model, an individual’s funds are provided in the form of a block grant which means that the funding to provide services is based on the assumption that services will be provided in a group setting – and therefore funding is grouped together and provided to various service providers. The service providers, in turn, provide a suite of options to people with a disability. Historically, these services were based in institutions, but more recently have been located in group-based day centres and residential centres, such as group homes, or to a lesser degree, independent living arrangements. Due to the nature of group activities, the options are limited and generally tend to be based on a weekly calendar of events. Furthermore, it is very difficult to cater for individual preferences when providing services within a group setting. While service providers endeavour to personalise and individualise services, the scope of what can be achieved is limited by the nature of group settings. Personal budgets, on the other hand, allow the individual to decide how their needs, wants and aspirations are met. Indeed, they have been recognised by the United Nations as one way of achieving a self-determined life (United Nations, 2006). Unsurprisingly perhaps, personal budgets are rooted in the Independent Living Movement where choice and control are strongly emphasised (Glasby & Littlechild, 2009). Our research has shown that people want to access services that are available to the general population. These services tend to be based in the community, thereby improving the opportunity for increased personal and social gains. Personal budgets offer the kind of flexibility and personal decision-making required to accommodate people’s changing preferences and needs over time, something that is arguably more difficult to achieve when catering for a group of people. This process of self-determination can have many benefits; for example, participants in the pilot initiatives in Ireland viewed themselves as more successful – confident – adaptive – skilled – empowered – independent – in control – and with a greater sense of purpose (Fleming, 2016). What are the different personal budget models and how do they work for individuals and their families? different ways of allocating funds to an individual. Two models provided as part of the pilot initiatives in Ireland, are described below. · This means that funds are provided directly to the person with a disability. · In Ireland, Áiseanna Tacaíochta (the ÁT network) provides such a mechanism of direct funding. · Each person availing of a personal budget is referred to as a ‘leader’ and each leader is provided with support to set up their own company, whereby they can manage their own lives, directly hire the supports required and purchase assistive technologies to promote greater independence. · This model tends to have increased administrative responsibility in terms of tax, insurance and other statutory requirements. While supports are in place to assist with administration, this model (to date) tends to be most suitable for people with a physical or sensory disability. Having said that, the ÁT network is working closely with the informal support networks of individuals with other forms of disability. · The pilot initiatives in Ireland that use(d) some form of a brokerage model included ‘PossibilitiesPlus’, ‘Bridging the Gap’ and ‘ConnectAbility’. · With this model of personal budget, there are more supports in place for the administrative burden on an ongoing basis. · As a result, the funding is provided to an intermediary body (organisation) who manages the budget on behalf of the individual, working closely with the individual/family or support network to decide how that money is spent. · In addition to administrative support, there are more intensive personal and social supports in place, particularly in the earlier stages, when people are transitioning from the traditional model of service provision or from school. · Our research has shown that some people (particularly with an intellectual, developmental or psycho-social disability) can struggle with decision making. As a result, it is essential that people have a strong informal support network consisting of family, friends, neighbours, colleagues or members of the wider community. · Where no such network exists, the brokerage service helps to successfully build such a network. Eventually, the brokerage service can take a step back, empowering the person with a disability and their support network to 1) manage the decision making process, 2) identify activities and formal and informal support services within the community, and 3) access and manage them as necessary (Fleming, 2016) . What do families and advocates need to consider when their loved one is using/planning to use a personal budget (based on four pilots in Ireland)? Our research showed that the perceived benefits of personal budgets were enhanced when a strong circle of support was available to the individual. However, families typically needed guidance and support at first. This required skills to help their loved one successfully identify what their goals were and how to go about achieving those goals (Fleming, 2016). There are various training opportunities available to help build these skills (Genio, 2016; Leap, 2016). Much of the training in this area builds upon the notion of personalisation – placing the individual with a disability at the centre of the decision-making process, thereby recognising their strengths, preferences and aspirations and empowering them to identify their needs, and to make choices about how and when they are supported (Carr, 2010). Ongoing support is essential however, and it is important to develop and nurture a long-term sustainable network of support (including siblings and other younger relatives and friends). Families and particularly parents can naturally be very protective of their children and when a child has a disability, this can become even more marked and can inadvertently lead to overpowering paternalistic behaviours. Individuals, family members and paid supports who took part in our research recognised this behaviour in themselves and others. They also acknowledged that this can create a significant barrier to progression. These behaviours are often based on fears and anxieties, and therefore tend to focus on a person’s disability rather than their abilities. As a result, families need to be aware of such behaviours, which can often be quite subtle. They should strive instead to empower their loved one (difficult as this may be at first) to take positive risks, to try new experiences, to gain new independent skills and to allow them to explore the world on their own terms, having acquired the appropriate skills to do so. The phenomenon is not unique to Ireland of course. For instance, research has been carried out in Australia to help families become more aware of their unintentional negative behaviours, attitudes or attributes and to identify how best these might be managed (Curryer, Stancliffe, & Dew, 2015). For many years, in the era of institutionalisation, people with disabilities were largely invisible within their communities. However, the mainstreaming of education has seen younger people with disabilities integrated within the schooling system along with their peers and friends. Unfortunately, current services for adults remain largely segregated from the wider community with ‘special’ activities, thereby ensuring that adults with disabilities remain congregated and isolated from their peers (Fleming, McGilloway, & Barry, 2016). For younger people, the transition from mainstream school into disability-specific adult services can be very traumatic. Personal budgets, on the other hand, provide an ideal opportunity to continue on this mainstream route and to seek out, and avail of, community-based services. Sometimes this may require a member of the individual’s support network to accompany them due to physical or psycho-social limitations. This could be a family member or friend, or a personal assistant/key worker who is paid from the personal budget. Our research has shown that community interaction had positive impacts for everyone involved. However, as might be expected, there was an initial period of adjustment for everyone, for example 1) family members taking a step back, letting go of the ‘controls’, 2) individuals learning social norms and adjusting to new experiences and 3) members of the community realising that no exceptional or additional effort was required on their part to meet the needs of a person with a disability compared to the general public, and if such needs did arise, they were easily overcome. In this natural way, community integration raised awareness and reduced stigma. It is reassuring to note that Minister McGrath, has publicly pledged his support for the implementation of personal budgets for people with a disability in Ireland (Inclusion Ireland, 2016). As part of this pledge, he has commissioned a taskforce to oversee the national roll-out of personal budgets. While PossibilitiesPlus and the ÁT network continue to support individuals in accessing and utilising a personal budget, they are currently limited by the lack of a national resource allocation system to help with the individual allocation of funds. They are also limited by the lack of national systems within the HSE to refer individuals to their services. A number of organisations around Ireland are planning a submission to the taskforce in order to inform and guide their work, based on international best practice and ongoing independent research here in Ireland. While there is a sense that the disability sector is on the cusp of change, these processes take time and especially if they are to be implemented properly and in a way which will be sustainable and successful for years to come. The Inclusion Ireland / Down Syndrome Ireland seminar indicated a growing appetite for personal budgets in Ireland, but also increasing frustration with the lack of progress despite policy recommendations and promises from successive governments. Our findings suggest that it is important to build upon the growing momentum and the valuable lessons learned from our research of these four pilot initiatives in Ireland. For example, it may be prudent to begin to develop a unified and coordinated network of advocates including individuals, families, support networks and organisations in order to strengthen the national presence. Valuable lessons have been learned by a ‘core’ of several organisations and many individuals over the past three years. It is important, therefore, that this learning, knowledge and expertise are shared with others, in order to help generate ideas & top tips and highlight pitfalls, whilst also focusing on shared goals rather than organisational differences. It is also important to share personal stories and to celebrate achievements by, for example, harnessing social networks, blogs, print, video and other media to highlight success stories and grow momentum (Fleming, 2016). More details from the evaluation of the four pilot initiatives in Ireland has been published in an ‘easy to read’ report called ‘How personal budgets are working in Ireland – Evaluating the implementation of four individualised funding initiatives for people with a disability in Ireland’. This report can be downloaded for free from www.genio.ie/personal-budgets. The evaluation of individualised funding is ongoing, with the current phase examining international evidence of individualised funding to determine if personal budgets do in fact improve the health and social care outcomes for people with a disability. Research findings from this and other aspects of the project will continue to be published in various media. Carr, S. (2010). Personalisation: a rough guide (revised edition). London: Social Care Institute for Excellence. Glasby, J., & Littlechild, R. (2009). Direct payments and personal budgets: putting personalisation into practice (2nd Edition ed.). Bristol, UK: Policy Press. Padraic Fleming is a PhD Scholar on the SPHeRE (Structured Population and Health-services Research Education) Programme. He is completing his studies in Maynooth University Department of Psychology and is funded by Genio and the Health Research Board (HRB). Follow him on Twitter @padraicfleming. The individualised evaluative research is supervised by Dr. Sinead McGilloway (Director of Mental Health and Social Research Unit – Maynooth University Department of Psychology) and Dr. Sarah Barry (Centre for Health Policy and Management, Trinity College Dublin), who have co-authored this paper.